I’m continuing to make progress putting things back together in between normal (and late) high garden season preparations. 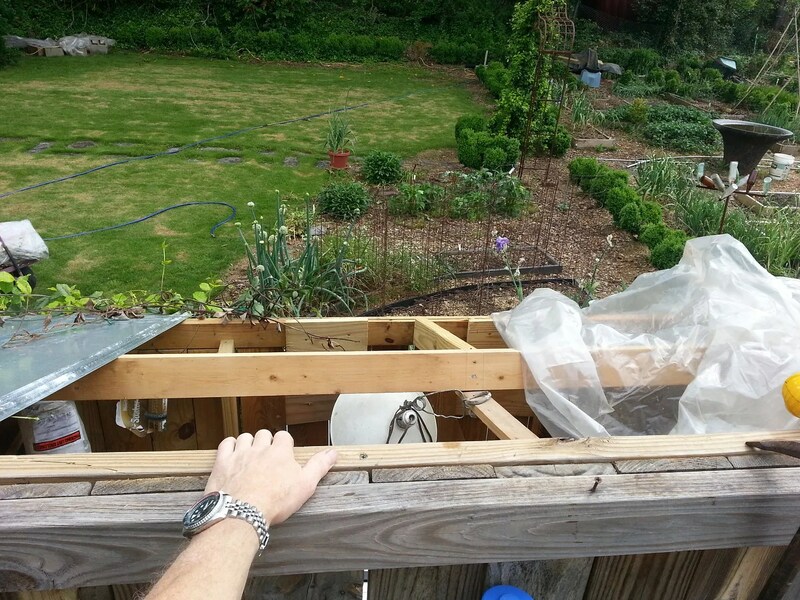 Also, I have one of the sheds almost back together; I had to remove the roof and repair the top (main) sill. It had split and amazingly I was able to pull it back together and clamp it and screw it back into one piece without removing it. 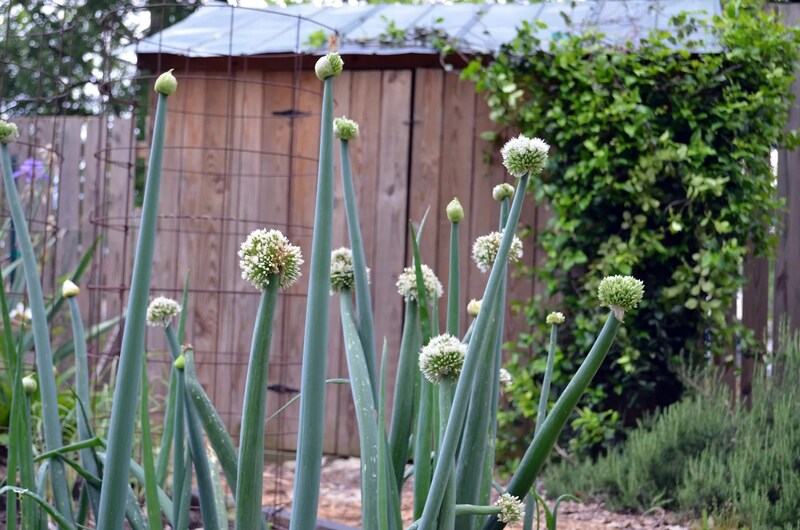 I love seeing the progress in your garden, I think pleasure is the addiction of every gardner. 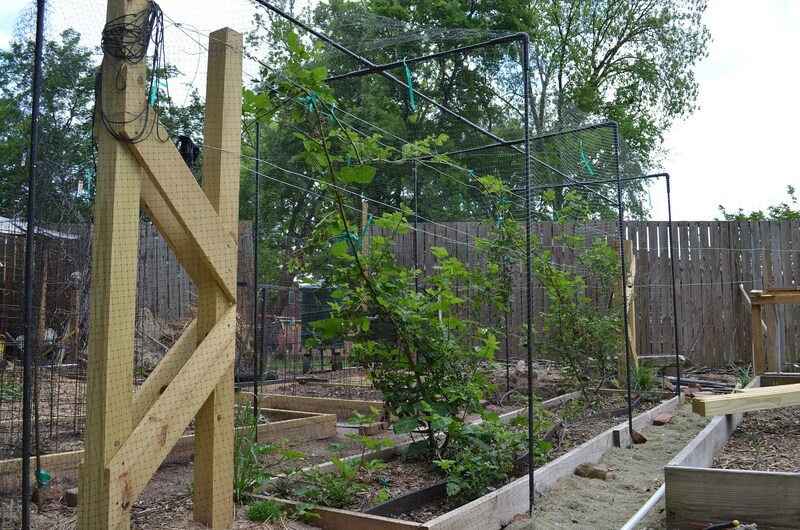 Thank you; posting progress keeps me moving it (the never ending garden project) forward. It does something for me. Pleasure? perhaps. W.C. Fields, who grew up in Philadelphia, was tormented with insomnia. When he moved to Los Angeles, the endless sunshine drove him crazy — he missed rain, which made him sleepy. 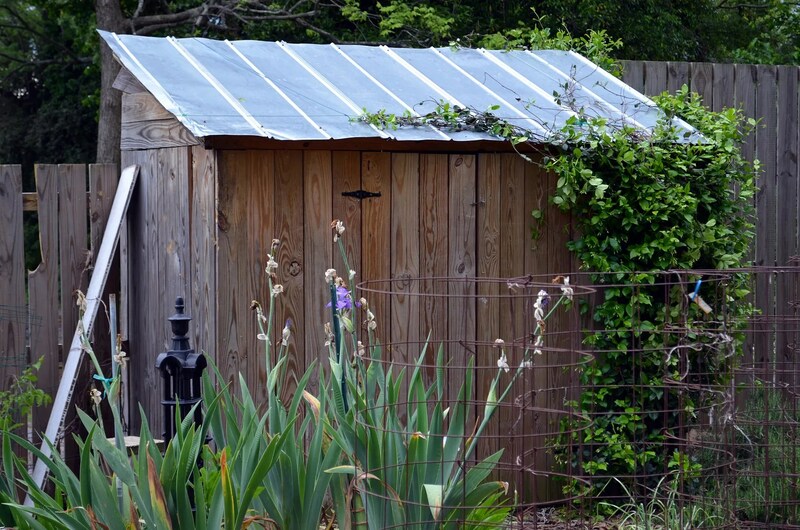 So he had a garden shed built with a tin roof, and had his gardener, “Horizontal Howard” [on account of how he could sleep anywhere, any time] train the sprinkler to “rain” on the shed and would take his naps in there, dreaming of rain. Personaly I am tired of rain for now. Close to 4x the normal rainfall here for May. And we are only 2/3 through the month…..